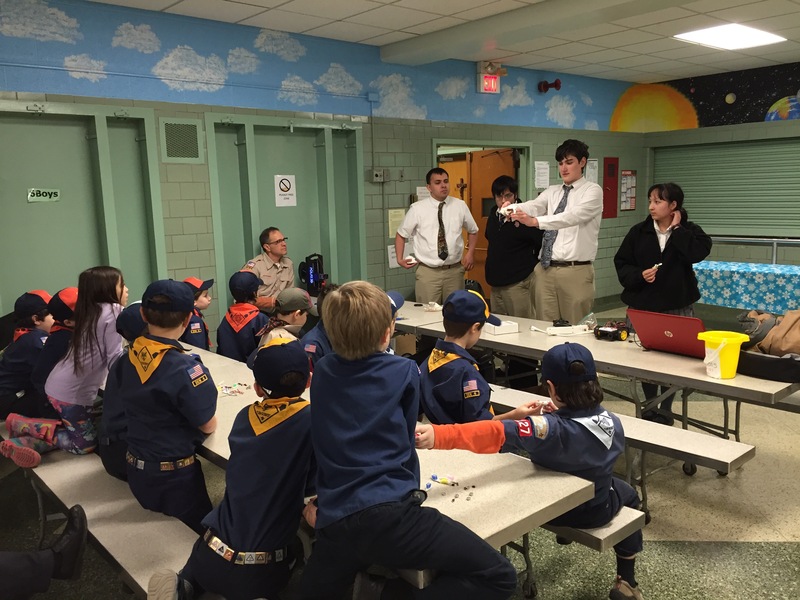 Last night the Divine Child High School Robotics club gave a short presentation to Cub Scout troop 1127. The presentation covered their participation in the Square One Autonomous Innovative Vehicle Design Challenge. Last year was our first year and it was so much fun we decided to do it again. The competition involves transforming a power wheels jeep into an autonomous car. 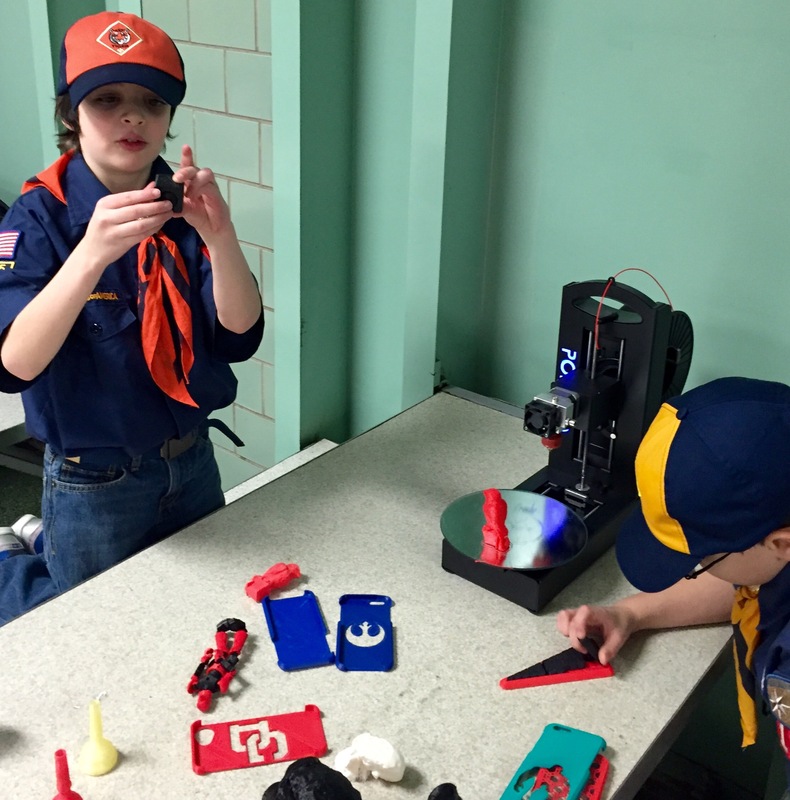 The club members also showed off our new Polar3D printer. After the presentation the club led the scouts through building bristle-bots. We’ve done this with middle school students in the past and we’re happy it was just as big a hit with younger students.